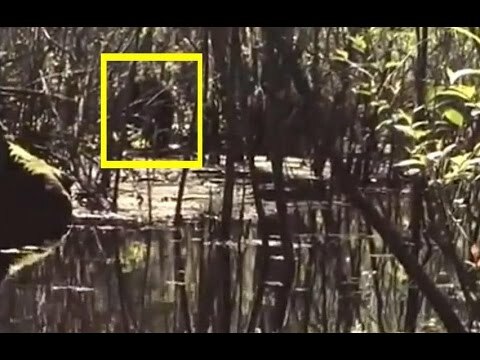 The "Lettuce Lake Skunk Ape Footage" made quite a splash (no pun intended) when it showed up last year in the Bigfoot community. As goes with any alleged Bigfoot video — many were quick to deem it just another hoax. But Tampa Tim Fasano thinks otherwise. Tim actually went out to where the footage was shot and did an investigation of the area. And according to Tim, it would be very hard (and dangerous) to attempt a hoax out in this swamp. let me at him. finally a real trophy. crambelled eggs and big foot steaks. yummy.